While babies naturally have flat feet, feet normally develop arches during childhood. If you make it all the way to adulthood with flat feet, or if you suffer from fallen arches later in life, it can cause problems. Just what is flat foot and what can you do about it? 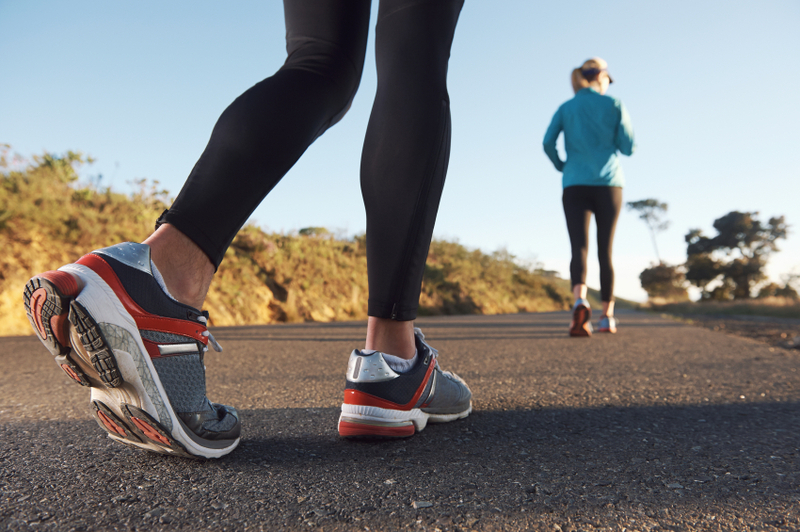 In this blog, NY orthopedic foot and ankle specialist, Dr. Stuart Katchis, will address what causes flat foot, what kind of issues it may create, and the most common flat foot treatment options. Flat foot is exactly what it sounds like—your feet are flat, with no arch on the inside. The entire sole of your foot touches the ground when you stand. For many people, this causes no problems or symptoms whatsoever. For others, flat foot may be uncomfortable or cause pain that requires treatment. It’s normal for babies and toddlers to have flat feet. Arches develop after we learn to walk and begin to use and strengthen the muscles in the soles of our feet. Your arches normally develop during childhood, but sometimes this simply fails to happen. Your arches can also “fall” – that is, flatten out— due to injury or wear and tear over time. Being overweight also makes your arches more likely to fall. What kind of flat foot treatment is available? If your symptoms are uncomfortable enough that flat foot treatment is necessary, there are a number of nonsurgical options and lifestyle modifications that may be effective at improving them. Orthotics – Custom shoe inserts that support your arches and lift them may help reduce pain. Footwear modifications – Simply changing the type of shoes you wear may provide relief. Sandals and shoes that offer little support should be replaced with shoes with supportive soles. Bracing – A brace can offer extra support and stability if the ligaments in your arches are weak. Physical therapy – Stretching and strengthening exercises can improve painful flat foot symptoms. Weight loss – Carrying extra weight can flatten your arches out. Losing weight reduces the pressure on your feet and stress on your arches. If you’ve tried conservative flat foot treatments but are still having painful symptoms, flat foot surgery may be an option. While the exact procedure recommended will depend on your unique circumstances, the ultimate goal of flat foot surgery is to redistribute stress through the foot so that everyday activities—such as walking and standing—are no longer painful. Common procedures include repairing supporting tendons, lengthening them, or even rerouting them. Bone fusion or bone-cutting procedures may also be necessary. If you’re experiencing painful flat foot symptoms, contact Dr. Katchis at Extend Orthopedics by calling 212-434-4920 or schedule your appointment today by filling out the form right on this page.